We travel to various NASCAR tracks during a race season where fans can get merchandise including our limited-edition collectible lapel pin. Over the years, our recurring volunteer groups and turned into beloved Fan Ambassadors. 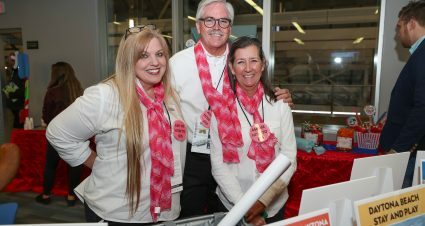 Our Fan Ambassadors lead all at-track fundraising efforts for The NASCAR Foundation and we couldn’t do it without them. Mark Lasky and Troop 322 started volunteering at Michigan International Speedway in 2012. Their very first year, they raised over $2,000 for their annual fishing trip. 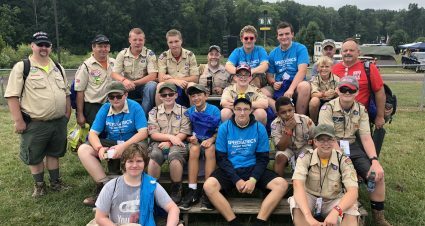 Fast forward seven years, Troop 322 has recruited help from Troop 162 from Cridersville, OH and combined they have raised over $56,000 by collecting donations in exchange for merchandise. 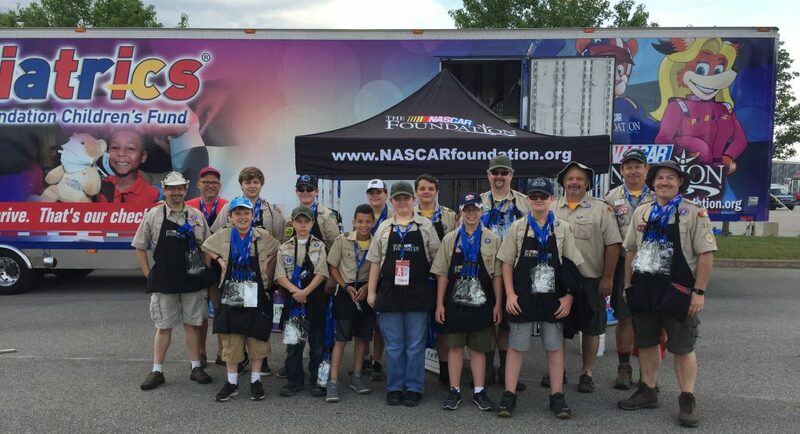 “Brian, Troop 162 Scout Master, and I enjoy watching our scouts interact with the NASCAR Fans,” said Mark, “It is a great experience for them, talking about The NASCAR Foundation, and managing their merchandise and money. 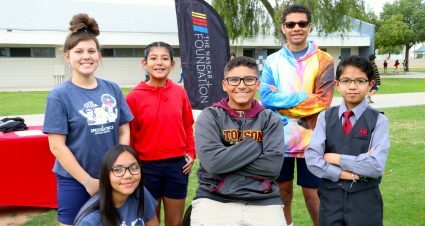 Also, it educates them about service to others, as well as learning to pay their own way.” Proceeds from what the Boy Scouts raise at the track help fund their annual trip. Jodi Boyko, a teacher and mother of three, takes the lead on all at-track efforts at Dover International Speedway. She started back in 2014 when she was looking for different ways to help children in the community. “I feel that in my volunteering, I’m an integral part in making a difference in the lives of children. What I do matters and that fills me with a sense of well-being and accomplishment,” said Jodi. 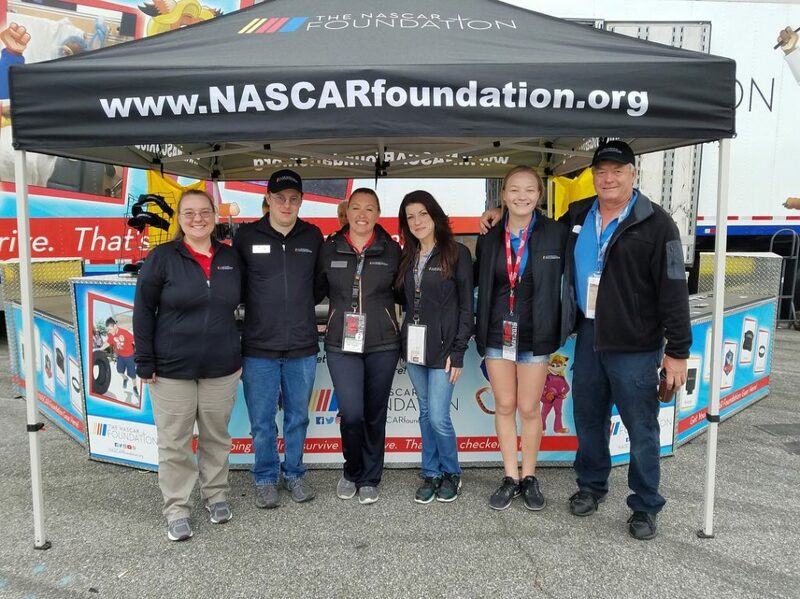 Thanks to 280 at-track volunteers in 2018, $37,255 has been granted to 13 local charities in our NASCAR communities. We are thankful for the hard work of our volunteers. They truly are superheroes for kids. 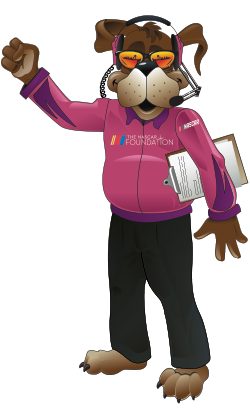 The NASCAR Foundation partners with local charities in various race markets collect donations in exchange for merchandise. 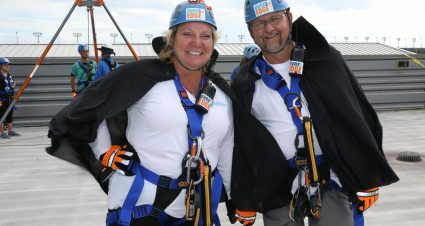 The proceeds raised are split between The NASCAR Foundation and the local charity partner. 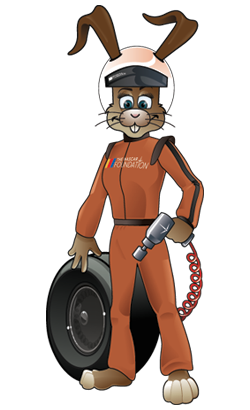 Click here to learn more about how you can get involved with volunteering at-track with The NASCAR Foundation.